The big event this fall is our exhibition devoted to Paris 1950 : Auguste Herbinand His Circle. The show is inspired by a ground-breaking essay by Serge Lemoine, the former director of the Musée d’Orsay ; for that matter, Lemoine’s essay will serve as the introduction to the catalogue. For forty years now, Galerie Lahumière’s interest in Herbin has never flagged, and today we boast a broad and comprehensive collection of his work. 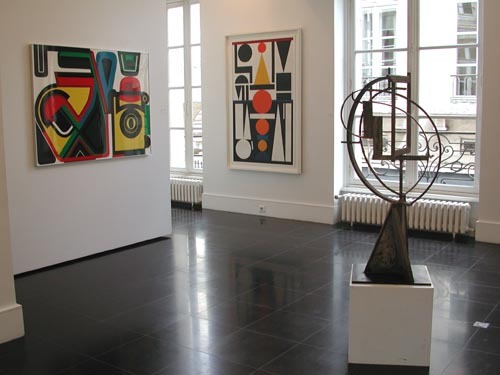 The show will also include artists such as Victor Vasarely, Jean Dewasne, Aurélie Nemours, Robert Jacobsen, Olle Baertling, Vera Molnar and others, all of whom have already been exhibited in the gallery, which owns numerous works by several of them. This event requires extensive space, and since the Paris art fair (Fiac) allocated just 300 square feet to us last year, we decided to hold the show on our own premises, which cover 1500 square feet. We will therefore be somewhat careful when listing some of the people who recognized Herbin as a key player in the history of contemporary painting. 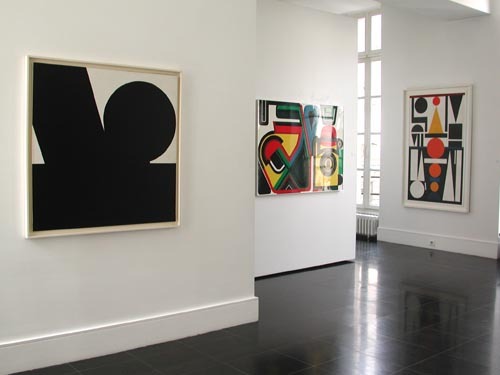 Yet they included art dealer Léonce Rosenberg, who accorded Herbin pride of place in his Galerie de l’Effort Moderne, plus artists Vasarely and Dewasne, who went to bat for Herbin’s aesthetic ideas among their fellow painters. Finally, for many years Serge Lemoine has tirelessly defended Herbin in the face of polite indifference. 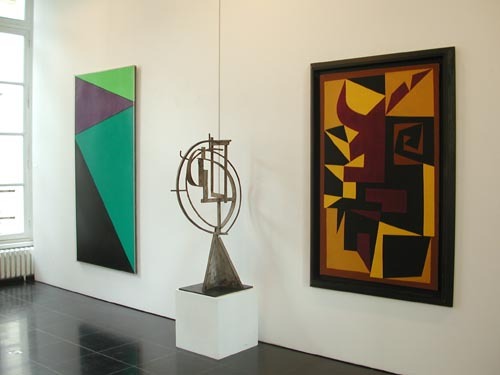 We will be most pleased to welcome to the gallery all those for whom the name of Auguste Herbin is meaningful. Furthermore, we would like to announce the launch of a new department, Lahumièredesign. Its aim is to produce limited editions of contemporary furnishings and objects that reflect the gallery’s aesthetic. The “Lumitiple” lamp, for instance, dates back to our early days, so it is with a certain nostalgia that we are reviving it today. In fact, we are very pleased to be promoting certain items designed by Jean d’Imbleval—two light fixtures will be featured in Espace Lumière, the largest retailer of upscale lighting in Paris, from October 1st to the end of December, 2008. For more information, you can log onto www.lahumieredesign.fr. Finally, the September issue of L’Oeil features a two-page article on Galerie Lahumière’s ongoing efforts.